Researchers of Mount Sinai School of Medicine in New York, USA, have discovered that cannabinoids that bind to CB2- receptors activate other receptors on certain human immune cells that can directly inhibit the HI-virus in late-stage AIDS. 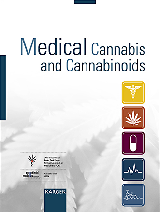 "We knew that cannabinoid drugs like marijuana can have a therapeutic effect in AIDS patients, but did not understand how they influence the spread of the virus itself," said study author Dr. Cristina Costantino. 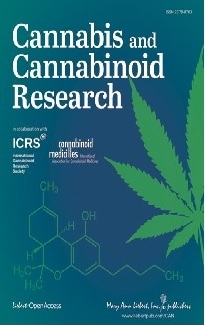 "We wanted to explore cannabinoid receptors as a target for pharmaceutical interventions that treat the symptoms of late-stage AIDS and prevent further progression of the disease without the undesirable side effects of medical marijuana." HIV infects certain immune cells, active T cells that carry the CD4-receptor, which makes these cells unable to fight off the infection. In order to spread, the virus requires that so-called resting T cells be activated. In advanced AIDS, HIV mutates so it can infect these resting T cells, gaining entry into the cell by using a signalling receptor called CXCR4. By treating the cells with a cannabinoid agonist that activates the CB2-receptor this signalling process was blocked and infection by the virus was suppressed. "Developing a drug that triggers only CB2 as an adjunctive treatment to standard antiviral medication may help alleviate the symptoms of late-stage AIDS and prevent the virus from spreading," said Dr. Costantino. Because HIV does not use CXCR4 to enhance immune cell infection in the early stages of infection, CB2 agonists appear to be an effective antiviral drug only in late-stage disease. As a result of this discovery in cell experiments, the research team led by Professor Benjamin Chen at Mount Sinai School of Medicine plans to develop a mouse model of late-stage AIDS in order to test the efficacy of a drug that activates the CB2 receptor. Last year a research team from the University of Louisana in New Orleans, USA, published research, according to which in rhesus monkeys infected with the SI-virus, which is an equivalent to the HI-virus, THC reduced the number of the viruses and inhibited progression of the AIDS-like disease.